Today, people think Yoga is a system of physical exercise to have good health. This is external Yoga called Hatha Yoga. Yoga in Indian traditions, however, is more than physical exercise; it has a meditative and spiritual core. “Tantra” does not mean “secret”, because the purpose of Buddhist teachings is popular for all sentient beings to practice for enlightenment. The root of the word “tantra” means to stretch or to continue without interruption from generation to generation, from the beginning to the end. However, Tibetan Tantric is really too delicate, complex in the activities of “actions of body, speech and mind”; thus, it is impossible even to enter the graduated path to enlightenment, let alone get supreme happiness of nirvana. Thanks to the Great favour of The Enlightened One: Avalokiteshvara, I have studied and practiced Tibetan yoga for a long time, I have found the essence and simple method which does not take time as much as laymen’s time going to the temple every night, or monks’ life in the monastery. This method is for busy people with working, human beings having bad memory because of age, or those who have too much pressure want to get rid of disturbing negative thoughts and transform their mind. This method brings you happiness in this and future lives. Here, it is necessary to avoid the word “cultivate”, meaning practicing Dharma teachings as many people’s thought. They are monks who live in the temple and laymen who have free time to go to the temple in the late afternoon without doing chores or no taking care of children. So, it is usual to see the old going to the temple while the youth rarely comes there because they have much work to do. Thus; while the young say that they want to cultivate, the old say: “It is too young to go to the temple” or “what problem with you? Lovesick? Breaking heart? It is the love story “Lan and Diep” being the bitter taint for Buddhism. Lan wanted to go to the temple because of breaking heart, not for attaining fully enlightenment. Would Lan have gone to the temple if she had married Diep? Would Lan have gone to the temple if she had married Diep? Also, the episodic novel “Journey to the West” as a hammer striking Buddhist stronghold is the worst taint for the Buddhism, against the truth about his holiness Tang Xuanzang, a high-ranking monk in Tang dynasty in China. 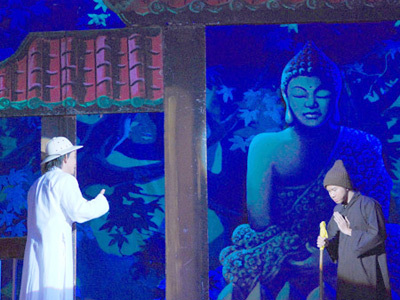 The fictional Xuanzang is presented as a young monk who is extremely naive, showing idealistic compassion without wisdom. In contrast to the historical Xuanzang, he is a wise and learned scholar. The history is far different from the novel. The novel by author Kim Dung is also far different from the history, which makes readers get misunderstanding about his fictional characters. 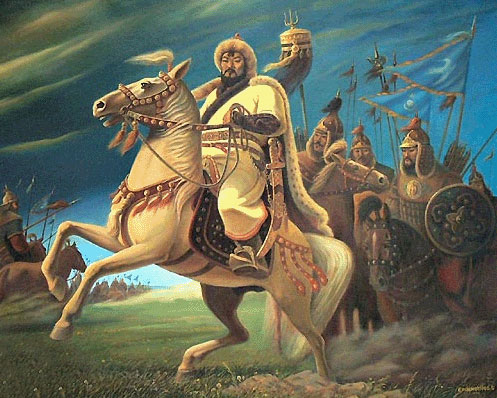 According to history records, Duan Zhengchun, is Dali’s King in Yunnan, surrendered to Mongolia and he himself was a pioneer who led the way for Yuan troops to invade our country at the first war. Yet, in his novel, Kim Dung modeled him into a hero. Beside, high virtuous elder monks or masters such the typical character as “A Golden-wheel king” in Tibet, called Western Region in novel, were described as being eager for fame, greed and mean-spirited. There are many false features of Kim Dung’s novel that I did not need to mention. However, it is sure to self- make and self- receive. Now, to avoid confusion with the word “cultivate”, let’s go back to the original language nature. “Cultivate” means practice (Learning, Thinking, and Practice). First you should listen or read then try to understand the meaning and finally practice. If you practice in that way, you can attain enlightenment. What do you practice? Practicing the right Dharma means to correct your character, to eliminate bad habits and obey the Buddha’s teachings. It should be stressed that the Buddha does not force a Buddhist to go to the temple, to live in the pagoda, to wear the cassock. Thus, there are monks or nuns (the people with the celibate life) and Buddhist laymen or women (the people with the married life) who all can practice Buddhist Dharma. However, there are many monks or nuns living in the temple but they break the precepts, accumulate the wealth, greed for power, the Buddha called them as “robber” monks. Meanwhile, the laymen or laywomen who live a virtuous life, practice the right Dharma, keep the precepts have been called noble Buddhists. Such people are called Lama Laymen in Tibet. Now, we quote the Buddha’s interpretation as the basis for the writing: “Renunciation means leaving home, stopping attachment to worldly pleasures, being away from suffering and three realms (escape from 3 fire house: leaving home, free from suffering and three realms). From this sense, one who can get purity called renunciation, so the word of monks means “purity” (shanga) in Sanskrit. Vimalakirti, Guru Rinpoche (“Precious Master”) Padmasambhava, Saint Marpa, Patrul, J.Dudjom, Dilgo Khentse, Kusum Lingpa, Chagdud Tulku, Thinley Norbu … who represent “purity”. 16, When getting dressed, let’s bless all sentient being have the modest and sense of shame. People living in the present life are inseparable from daily activities, less or more in on specific situation. It is the direct conditions for practitioners to pray for all sentient beings, reflecting the diligent practice as Saint Maitreya’ saying: “ Diligent practice is the supreme virtue” (Mahayana solemn Comments). Because its cause is blessing for all sentient beings, it results the restoration of immensely blessings from numberless sentient beings in samsara (Hells, Pretas, Animals, Human, Asura, God) according to the law of Cause and Effect. It results the restoration of immensely blessings from numberless sentient beings in samsara according to the law of Cause and Effect. Once the practitioners make continuous and regular Dharma practices with conscious attitude in all their movements, in the meantime they remember to pray for all sentient beings. Then they have accidentally trained mindfulness meditation (Vipassana). Practitioners who always thinking about all sentient beings at any time, they have trained mind in Bodhicitta. Thus, this is the mind of Bodhisattvas which is sublime in end but simple in practice. However, at the beginning, the practitioners only learn by heart 2 or 4 blessings. Until maturity, you learn more practices. Six Paramitas consist of (1) Generosity, (2) Discipline (The precepts in all the traditions are essentially identical and are commitments to abstain from killing living beings, stealing, sexual misconduct, lying and making use of intoxication), (3) Patience, (4) Diligence, (5) Meditation, (6) Wisdom. Tantric sutra affirms that when reciting silently the six-syllabled Sanskrit mantra “OM MANI PADME HUM) (reciting loud enough for your collar to hear), we practice Six Paramitas at the same time. On the other hand, Tantric Buddhism asserts that reciting the six-syllabled Sanskrit mantra simultaneously bring happiness to all sentient beings in the cycle of deaths and rebirths. Furthermore, Tantric Buddhism also assures that the six-syllabled Sanskrit mantra is typical for profound meanings of 12 Buddhist Sutras. So when reciting the six-syllabled Sanskrit mantra, we simultaneously chant 12 Buddhist Sutras. Reciting the six-syllabled Sanskrit mantra, we not only recite the Buddhist Sutras and practice Six Paramitas, but also bring peace to 6 realms in samsara. This practice is called “3 in 1” method. It is very simple. Taking the left foot first and silently recite “OM MANI”, next stepping the right foot and silently recite “PADME HUM”. Every day, how many steps you walk, you know how many mantras you recite. It is magical that mantra recitation with footstep is reciting in awareness. But Awareness is wisdom. Then you at once accumulate merit and wisdom by reciting silently mantra while stepping. In summary, while praying for all sentient beings to gain the fully enlightened state in 16 daily activities and reciting mantra with footstep, we practice fully yoga because of unifying of body, speech and mind. When you take body’s activities such as: walking, sitting, sleeping, working, talking, eating … with the motivation of compassion for all sentient beings by mantra recitation, and the thought motivated by the wish for all sentient beings to experience happiness and benefit. So, do you need to go to temple for cultivation? Should you be in the temple to chant the Buddhist sutra every day? With my writing, may Hai Phuong layman understand and practice for your own benefit and others. Remember: “Dharma practice lead a success life as the firmly rooted tree must have durable trunks, green leaves and beautiful flowers”. And finally, this method has the best efficiency when the Guru takes delight in permitting to practice. If you read this article, you practise without the Guru’s permission, no matter how much you practice it, you will not get any achievement. Because you practice without his agreement, you break the No. 2 precept in the tantric precepts. Original Vietnamese Post: THẾ NÀO LÀ YOGA TÂY TẠNG? English version: WHAT IS TIBETAN YOGA? Japanese version: チベットヨーガとは (What is Tibetan Yoga)? Korean version: 티베트 요가는 무엇인가? Pháp đệ vô cùng hoan hỷ và tán thán thiện hạnh của Đạo huynh Mật Diệu Hằng, cùng các đạo huynh khác đã góp phần trong việc chuyển tải bài pháp của Thầy sang Anh ngữ. Mật Diệu Hằng cảm ơn đạo hữu Mật Nguyên Tánh đã sách tấn Mật Diệu Hằng. Mật Diệu Hằng chúc đạo hữu luôn tinh tấn tu tập và hanh thông thế sự. Cầu nguyện cho ngọn đuốc chánh pháp được soi sáng khắp muôn nơi. Mat Hue Phap highly appreciate Mat Dieu Hang’s great efforts in translating our Guru’s sermon. Now I’ve got a comprehensive overview of what is called Tibetan Yoga. I am deeply grateful to my noble Guru for having taught me “16 methods of Cultivating Boddhicitta in Daily Life” along with the chanting of Six-Syllable mantra. It is a real help for the busy ones like us in this modern time and proves to have an imaginable power. I would bear in mind that a person can only achieve from the practice of dharma once he/she is permitted from the Guru. If not, he/she violates the Tantric precepts – No. 2. May my Guru live long for the sake of all sentient beings! May all sentient beings awake in the state of enlightenment. Thank you so much for reading my translation. I tried my best to translate our Noble Guru’s sermon into English although I am not really good at English. I hope that there are more translations in different languages on the website of chanhtuduy.com for the sake of all sentient beings. May our Guru live long for the benefit of all sentient beings! May all sentient beings be free from suffering! I am so thankful to read the English version of “What is Tibetan yoga” which was taught by our Guru. I must say this is one of the most meaningful lectures by our Guru and it is going to definitely bring the beneficial to anyone who do not know how to read Vietnamese now thanks to your endeavor. I admire you more because you are super busy with your daily life but you are always one of the first pioneers in all Dharma activities. 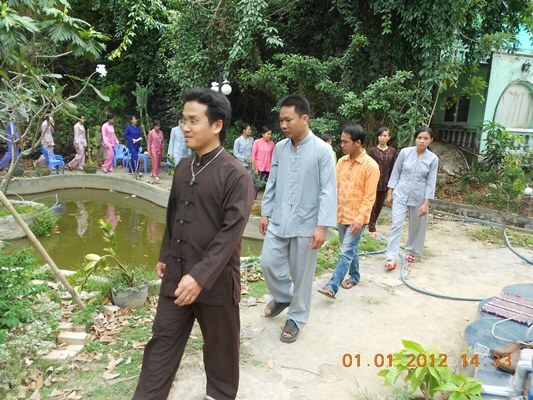 That really makes sense that you are a good example for us, Mat gia Song Nguyen’s practitioners. We are so lucky that not only we have acknowledged the correct doctrine of Dharma but also we have the most appropriate method to practice Dharma in our daily life. More importantly, we can experience our achievements in life which is the results of diligently practicing Dharma. However, we will never know anything as I have mentioned without the devotion of our Guru who have been spending his life to propagate the true Dharma. Even we are laymen who have tendency to live a family life with wife/husband (and maybe kids) and we have our related activities like any other people but all of our acts are on the right track of Dharma. It’s unbelievably lucky for us. I hope there are as many foreigners as possible who are bound to enter chanhtuduy.com can achieve their true happiness by reading our Guru’s translated lectures. May our Guru long live for the benefit of all sentient beings. May all the sentient beings achieve the happiness of Buddha’s nature. Thank you for reading my English version of ” What is Tibetan Yoga” and writing a comment. I really admire your English. In this world, human beings devote a great deal of effort to red rid of external sufferings and put an awful lot of effect into their daily activities. Due to this they cannot achieve real peace and true happiness. Sentient beings aspire to happiness and its cause but they do not know how to accomplish this. They do not desire pain and suffering but they do not know how to eliminate them when they are so busy with family life. All pain and suffering is the creation of the ignorance and of not seeing the nature of mind. The root cause of ignorance comes from attachment. From attachment, aversion and ignorance arise the 84,000 afflictive emotions. They are the product of one’s own mind. The antidote to them is bodhicitta. I’d like to take my hat off to you for the great translation. Even Vietnamese terms are difficult for me to understand, much less translating into English. Pháp đệ xin tán thán thiện hạnh dịch bài của Đạo huynh Mật Diệu Hằng. Đệ cầu nguyện trí tuệ Đạo Sư lan tỏa khắp năm châu. Trò kính lễ Thầy mình! Pháp đệ tán thán thiện hạnh của Đạo huynh Mật Diệu Hằng đã chuyển ngữ bài pháp này. Cầu mong gia đình Đạo huynh hanh thông thế sự và vui tu. Pháp đệ hoan hỉ tán thán thiện hạnh của Đạo huynh Mật Diệu Hằng đã dịch bài viết “Thế nào là Yoga Tây Tạng?” của Thầy ra tiếng Anh. Bài viết bổ sung thêm vào kho tàng Ngoại ngữ Phật giáo của chanhtuduy.com và sẽ giúp ích cho các bạn độc giả quốc tế dễ tiếp cận hơn với giáo pháp Mật tông Tây tạng. Cầu nguyện cho tất cả chúng sanh đều được uống tinh túy cam lồ! I’m Mia and currently living in Hanoi. I have been exposed to Buddhism philosophy for 1 year but until last month, via a friend, I knew this website and the respectable Guru. Since we are both newbies, I pay attention to your comment. It’s such a great thing to have a close friend like Mat Kinh who is accompanying you to practice and share wisdom. I like the way you refer to the minds as flowers in the field. I also feel like my flower blooms when it is given the chance to sit with other beautiful flowers in one place. Every single day, I read a lesson from the Guru and find out many valuable but simple principles of life. I know that Buddhism is not separate from life, they go together. Please let me extend a warm welcome to you. This site is not only a class where we are like students acquiring knowledge from the same Guru, it is a family. May all sentient beings be free from sufferings. Thanks you alot for your comment and I’m admire your knowledge. And thanks you so much all the comment of my vajra brother. Welcome to the website of the Center for Research, Application and Practice of Tibetan Yoga and the Club of Research and Application of Yoga (under Unesco Vietnam). It’s great to hear that you and Mat Kinh have exchanged and practiced Tibetan Buddhism since 2011 and gained remarkable results. Yes, as you said, thanks to mindfulness meditation, we are able to observe the development of our body, speech and mind in every second. We are really lucky to have a chance to practice such method of mindfulness meditation taught by our Guru, Master Thinley Nguyen Thanh, and it proves to work well. We can flexibly practice meditation in any place, any time and any situation. It helps us to remind in which state we ourself are and timely pull us back whenever we are off the right track. The method is the quintessence of our noble Guru’s whole life study and experiences. From practicing it, our practice will naturally turn from being primarily concerned with our own welfare to focusing on the welfare of others. And like you said, we not just improve our living quality at this life but also brings great opportunities of mind transformation to people around us. All for a lasting and deathless happiness. Thank you very much for your comment and do look forward to your further commentary in our website. Thầy hoan hỷ với bản dịch tiếng Việt của Mật Huệ Pháp. Con cảm tạ Thầy đã sách tấn con. Con cầu nguyện Thầy, Cô trụ thế dài lâu vì lợi lạc của chúng sanh và chúng con. I completely agree with your saying: “Not only do we help uplift the spirits of the weary, but we promote a new awareness and horizons for sentient beings around us…If i give a flower a chance to bloom, will it?..Yes..It is how life works”. Applying method of Practicing Dharma in daily life, I can get both temporary benefit and permanent benefit. The benefit of practicing bodhicitta is that I will learn how to remove suffering and obtain happiness day by day. I come to recognize that the root of all happiness is bodhicitta. Through the development and perfection of bodhicitta, I can benefit limitless beings. Normally, it is very difficult for ever one to develop the altruistic attitude of bodhicitta, it may seem to be quite limited, as a very small number of such thoughts arise in our mind. Luckily, our Guru, Master Thinley Nguyen Thanh, with his noble experience, he has taught us how to practice developing bodhicitta in daily life easily through prayers like: “when eating, I bless: “all sentient beings eat Buddha’ food” or mantra recitation with footstep… Gradually, the bodhicitta has been developing in my mind naturally. I become more familiar with it and realize that this buddha activity is the source of all happiness, and the method to remove suffering and benefit uncountable beings. Besides, in daily life, I have my greatest enemy with myself, the conflicting emotions, through which I experience endless suffering. Developing bodhicitta gives me the strength to overcome the conflicting emotions. Bodhicitta is like a sword that cuts through all suffering. In addition, developing bodhicitta is considered as the root of obtaining ultimate happiness for self and others. Bodhicitta is like a precious, wish-fulfilling jewel. I look forward to your further comment in our website. Pháp đệ hoan hỉ và tán thán thiện hạnh của Đạo huynh Mật Diệu Hằng qua bài dịch này. Mặc dù đệ không hiểu gì nhiều về ngoại ngữ, nhưng mỗi khi thấy Chanhtuduy.com có một bài mới được dịch ra các thứ tiếng là đệ hoan hỉ lắm vì biết rằng chanhtuduy.com ngày càng được các bạn đọc quốc tế biết đến nhiều hơn. Đệ chúc huynh tinh tấn tu tập và hanh thồng thế sự. This article gave me an opportunity of re-think about words – Yoga, enlightenment, Tantra, happy and many more. Now I’m wondering the followings: if Yoga is mandatory for people who wants to be on the pass of enlightenment. If there is anyone who actually archived “supreme happiness of nirvana / enlightenment”. Or we can be on the path of it and we can get closer to it but we’ll never be able to achieve it. Why it seems so difficult for human to understand / achieve enlightenment. Thank you for putting the this article on public site which made me think of the above, and I have to say thank you to Mat Thai Duong for guiding me to this article. I am very happy when you read articles in this site. I am one of disciples of Master Thinley Nguyen Thanh, I have practiced Tibetan Yoga for 2 years. Shakyamuni Buddha passed away around 486 BC at the age of eighty. Although he has left the world, the spirit of his kindness and compassion remains. 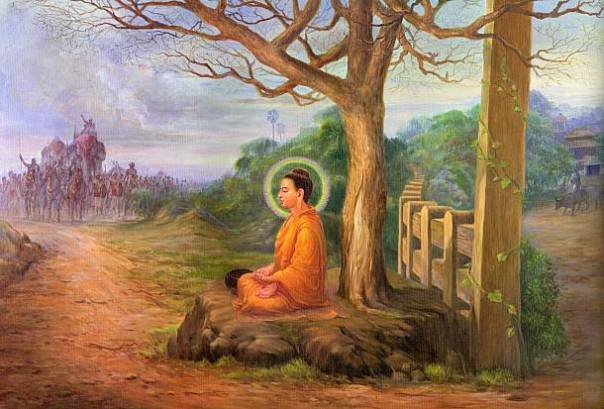 The Buddha realized that that he was not the first to become a Buddha. “There have been many Buddhas before me and will be many Buddhas in the future,” The Buddha recalled to his disciples. He said: “All living beings have the Buddha nature and can become Buddhas.” For this reason, he taught the way to Buddhahood. It is not mandatory to practice Tibetan Yoga, because there are 84,000 methods for all beings to practice Dharma to get enlightenment; Tibetan Yoga is one of them. Why do I choose to practice Tibetan Yoga? Master Thinley Nguyen Thanh’s method helps me find easy to practice in my busy life. Rene Descartes once said: “without method the genius make mistake, with method normal person can have exceptional performance”. I am normal person with many conflicting emotions, my master gives me many methods to practice Tibetan Yoga which are suitable for my life like method of dharma practice in daily life, mantra recitation with footstep, mantra chanting with breathing…in order to practice The Three Principal Aspects of the Path by Jey Tsongkhapa. The three refer to renunciation, bodhicitta, and a correct view of voidness/ emptiness. Renunciation is based on the attitude with which we turn our minds completely away from all wishes for samsara, uncontrollably recurring existence. Our attainment of liberation is dependent on having such a renunciation. Bodhicitta is the attitude or intention to attain enlightenment to benefit all sentient beings. The correct view of voidness is realization of the actual abiding nature of reality. So, believe Buddha’s saying: “All living beings have the Buddha nature and can become Buddhas.” If you have good methods, you can become an enlightened one. I hope to read more comments from you in this site. Tôi rất vui khi bạn đọc bài giảng trên trang này. Tôi là một trong những học trò của Thầy Thinley Nguyên Thành. Tôi đã thực hành Yoga Tây Tạng được hai năm rồi. Đức Phật Thích Ca Mâu Ni đã nhập Niết Bàn vào khoảng năm 486 trước công nguyên ở tuổi 80. Mặc dù ngài đã ra đi nhưng lòng bi mẫn vẫn còn mãi. Ngài xác nhận nhận rằng ngài không phải là người đầu tiên giác ngộ. Trước ngài đã có rất nhiều vị Phật và sau này cũng sẽ có nhiều người thành Phật. Ngày đã khẳng định rằng: “Tất cả chúng sanh đều có phật tánh và đều có thể trở thành Phật”. Vì vậy, ngài dạy chúng sanh cách để tìm về Phật tánh của mình. Hơn nữa, trong 12 đại nguyện của Quán Thế Âm Bồ Tát, ngài đã khẳng định: Nếu ai cầu nguyện và thực hành theo lời dạy của ngài thì khi từ bỏ tấm thân tứ đại, ngài sẽ tiếp dẫn về Tây Phương Cực lạc quốc. Do vậy, không nhất thiết phải phải thực hành Yoga mới có thể đạt giác ngộ, bởi vì đức Phật chỉ cho con người 84.000 pháp môn cũng chỉ để giúp chúng sanh thực hành và đạt giác ngộ. Nhưng tại sao tôi lại chọn thực hành Yoga Tây Tạng? Bởi lẽ những phương pháp hành trì mà Đạo sư Thinley Nguyên Thành dạy tôi giúp tôi có thể thực hành pháp dễ dàng trong đời sống bận rộn này. Nhà toán học Rene Descartes đã nói: “không có phương pháp thì thiên tài cũng phạm lỗi, khi có phương pháp thì người thường cũng có thể làm những việc phi thường”. Tôi là một người phàm phu bình thường ngày ngày đối mặt với nhiều xúc tình tiêu cực, nhưng Thầy đã dạy tôi nhiều phương pháp thực hành Yoga Tây Tạng phù hợp với hoàn cảnh sống của tôi như 16 động tác bồ đề tâm, niệm thần chú theo bước chân, niệm thần chú theo hơi thở để tôi được tiếp cận với ba tinh yếu giác ngộ mà đại sĩ Tông Khách Ba đã chỉ ra. Ba tinh yếu giác ngộ là xả ly, Bồ đề tâm và trí huệ tánh không. Xả ly là buông bỏ về tâm những tham ái, bám chấp. Bồ đề tâm là mong muốn làm việc lợi mình lợi người. Trí huệ tánh không là nhận biết bản chất của sự vật hiện tượng. Theo tôi nghĩ, bạn nên tin tưởng vào lời dạy của đức Phật “Tất cả chúng sanh đều có phật tánh và đều có thể trở thành Phật.” Nếu bạn có phương pháp thực hành phù hợp, bạn có thể đạt được giác ngộ. Tôi hy vọng được đọc thêm nhiều comment mới của bạn. My sincerest apologies for not getting back to the feedback messages about my posting due to my moving to a new city. And I really appreciate people who took their precious time to reply to my beginner’s comments and also translate English into Vietnamese and vice versa which is time consuming. It’s nice to know there is a place/community where people can exchange their thoughts. I’m having difficulty finding the reply to my posting which I saw about 2 weeks ago. I’ll reply to these messages based on my memory. From this point of view I can see why Yoga is mandatory for enlightenment even I’m still not so clear about what enlightenment is. I remember there were sentences which mentioned “reincarnation” or “next life”. 1: All sentient beings is made up of energy. From this idea we can say when we die the energy which used to be a part of our body will be re-used to create a new life form and Buddhism calls it as reincarnation. 2: There is literally “reincarnation”. This is something ordinary people(none enlightened) can not understand/see. When we die we will truly come back to this world as animal(none human), human or something higher/lower being. 4: Nobody knows about “reincarnation” except the Buddha and we will never know about it. Should I take the word literally or he used the words as metaphor that’s because it will help ordinary people to follow the idea of Buddhism? If it’s possible, could you please elaborate the above 2 types of happiness? Is happiness a byproduct of archiving enlightenment? Lastly if the only person who is practicing Buddhism can get answer of the question listed the above and will be able to understand the meaning of the answer then please do not hesitate to ignore my questions. I think it’ could be just like “we’ll never able to know the taste of persimmon until we make a action of eating(practice) of the persimmon(Buddhism)”. Thank you very much for allowing me to put comments on this great site. I have read your comment and my Guru asked me to answer your questions relating to Buddhist teachings. So I am very pleased to have some words with you. All beings is made up of both bad and good energy form bad or good feelings. When we die, in the state of intermediate being, your bad or good energy decides which realms of next life you will be reborn in the six realms of rebirth including: Devas or Gods, Asura, Human, Hungry Ghosts, Hell, Animal. This teaching was told by the Buddha in Śūraṅgama Samādhi Sūtra. You can read and study. The belief in Avalokitesvara Bodhisattva’s Vow is the same. We can practice as his instructions to get the temporary happiness in this life and the ultimate happiness of nirvana. If you do not have belief, you can do nothing. May all sentient beings free from sufferings and its causes. Thank you very much for your feedback on my comments and putting the link to your guru’s comments. Now I can read it again so I’ll get back to the posting also. I think the way I put my comments were not clear. Since I’m a beginner on Buddhism I wanted to know the way I interpret the words are correct. I googled a sample from the bible as a quick sample as below. We don’t interpret “We are the clay” as literally they are. If we do we human is clay. When Buddhist uses the word “reincarnation / next-life”, do you use it as a metaphor? In this metaphor, God is compared to a potter who molds clay. God’s followers are the clay and are subject to his design and influence. Con xin phép dịch lại những điều mà bạn đọc Kanji đã viết ạ.
Liệu Yoga có phải là phương pháp bắt buộc cho những ai muốn đạt giác ngộ không?. Liệu có ai đó thực sự đạt được trạng thái hạnh phúc chân thật nơi Niết Bàn hoặc đạt giác ngộ chưa. Hay chúng ta chỉ đang đi trên con đường tu học để đạt giác ngộ hoặc tiếp cận với sự giác ngộ chứ chúng ta không thể đạt được giác ngộ. Tại sao dường như đối với con người việc đạt giác ngộ này khó hiểu và khó thành hiện thực. Cảm ơn Thầy vì đã phổ biến rộng rãi bài giảng này để giúp con có được những suy nghĩ về những điều trên và con cũng xin chân thành cảm ơn Mật Thái Dương, người đã hướng dẫn con đọc được bài giảng này. Một lần nữa, Con xin chân thành cảm ơn Thầy. Last night before going to sleep and after chanting Om Mani Padme Hum, I prayed that Avalokiteshvara/Chenrezig help me deepen my practice in Om Mani Padme Hum. This morning I have been guided by Vajra Brother to this web page and for this, I am grateful dear Guru. I feel this Avalokiteshvara/Chenrezig guiding me to you. Thank you Mật Diệu Hằng for your translation in making it possible for me to read this powerful Dharma message. Namo Guru Be. 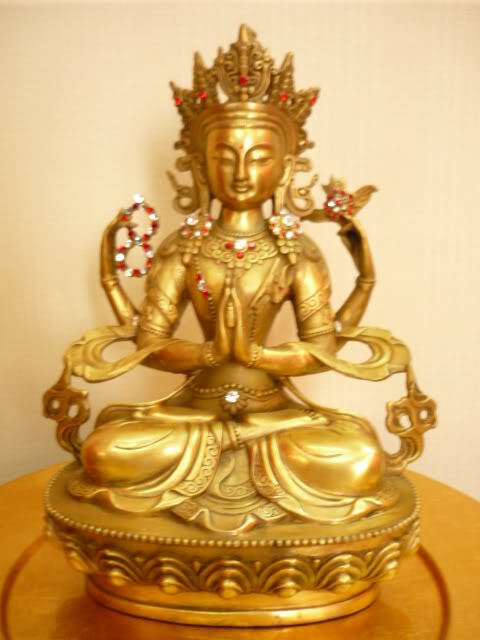 Namo Buddhaya. Namo Dharmaya.Namo Sanghaya. Om Mani Padme Hum! I’m a Guru in Tantra House (Mat gia Song Nguyen). Thanks for you comment what I like very much. I hoppe you shall read our articles. With gratitude. I am very happy to discover Guru to help me with reciting Om Mani Padme Hum. This feels good. I wish to become student and practice more deeply. Yes, I ready in my help with you at pratice of Dharma Tantra. I hope see you soon! This response is beyond words Guru. Guru, when practicing Om Mani Padme Hum in sitting posture, can one recite the mantra silently and if yes, what is the best pace, meaning reciting fast or slowly? Is it important to be aware of the state of clarity and spaciousness in the mind when practicing Om Mani Padme Hum? Is it important to practice visualizing the mantra in one’s mind and if yes what is the correct way to do so? Is there an optimum length of time for practicing Om Mani Padme Hum in sitting posture? Thank You. Thank You. Thank You Guruji. Om Mani Padme Hum. I’m not good at English so I ask my disciple Mat Dieu Hang to traintelate from Enlish in Vietnam. Affter this work, I shall anwser you. I think if you have a tantra name, you studies a Mantra so you understands this problem? But dont worry! I ready to hepl you. In trust, I am open to your guidance Guru. I wish you to be my teacher. 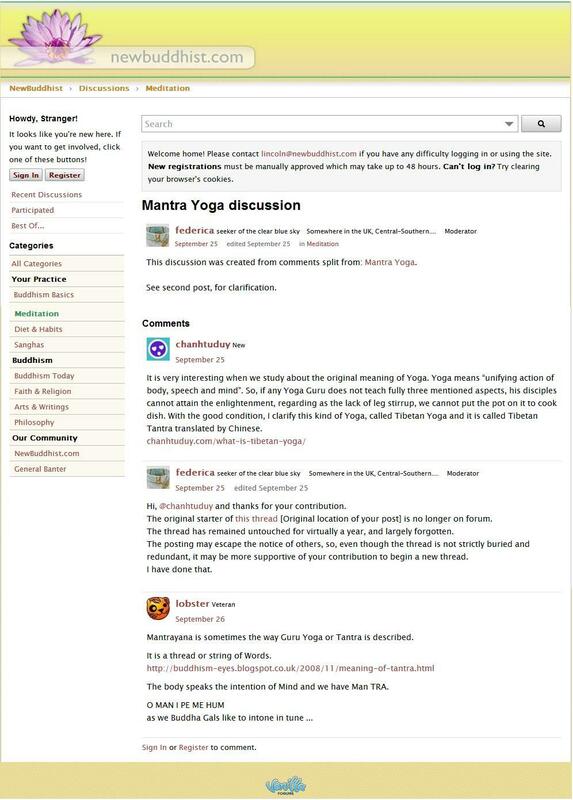 Nice to read your comment on this website, to know that you are connected to the Mani mantra Om Mani Padme Hum. But in Tibetan Yoga (Tibetan Buddhism), tantra is only a part of practice. And in Song Nguyen Tantra House, we only concentrate on practicing the Mani mantra (only one mantra for all life). Beside that, there are other dharma practice ways that are introduced in the post above. All of those practices should concentrate on the Three Principal Aspects of the Path: renunciation, bodhicitta, and a correct view of voidness/ emptiness, to accumulate merit and wisdom. Especially, we need to build the right view in Buddhism, which is the foundation for emptiness wisdom. How to do that? Guru teaches us to read the teachings on Chanhtuduy.com posts everyday whenever we have time. It’s convenient! After reading, we should comment to share our thoughts. By that way, we can accumulate merit in listening and sharing Dharma easily! Now you can also do that way with the list of English posts on http://chanhtuduy.com/muc-luc/ngoai-ngu-phat-giao/. We’re looking forward to read your comments! Later when you have opportunity to meet Guru in directly, you can ask Guru for the properly transfer of dharma, so you have Guru’s allowance to practice dharma effectively. Some lines to you. Welcome you to Song Nguyen Tantra House! Thank you, brother. Throughout the day, I am planning how to get to Song Nguyen Tantra House. It will be in 2017. Baby 3 is on the way in November. But, despite the distance, I can feel the warmth, the loving kindness of Vajra family and the immeasurable depth and expanse of Guru’s teaching. Now I prepare day by day to meet you all. Reading this posts makes me want to write poetry is like my mind is becoming possessed by a new energy. The energy of inspiration, creativity and spaciousness. Brother, I wish to grow and become a loving disciple like you and other Vajra brothers and sisters of Song Nguyen Tantra House! Thank you, Padmasambhava, The Lotus-Born, for revealing to us the Holy Mantra Om Mani Padme Hum. A song so glorious, made from indestructible Heart Nature of the Buddha and Chenrezig, holy words made radiant in our elevated Guru. Glory be to thou. Con gửi Thầy phần dịch sang Tiếng Việt của con cho phần thỉnh vấn của đạo hữu Karma Sonam Yeshe gửi đến Thầy. Con cảm tạ ơn Thầy đã giao việc lành cho con. Con được Thầy trả lời là ngoài sự mong đợi của con ạ. Thưa Thầy, Thầy cho con thỉnh vấn Thầy về việc khi thực hành thần chú Om Mani Padme Hum trong tư thế ngồi, thì con niệm thầm câu thần chú có được không ạ? Và nếu được phép niệm thầm thì con nên thực hành ở nơi nào là tốt nhất, đồng thời việc niệm nhanh hay niệm chậm có khác nhau về ý nghĩa không ạ? Khi con niệm thần chú Om Mani Padme Hum việc con phải chú ý để tâm ở trạng thái thanh tịnh và rỗng lặng có quan trọng không ạ? Việc thực hành quán tưởng thần chú trong tâm có quan trọng không ạ? Và nếu có con kính mong Thầy chỉ dạy cho con cách thực hành sao cho đúng ạ.
Có quy định thời gian tối ưu cho việc niệm thần chú Om Mani Padme Hum trong tư thế ngồi không ạ? Pháp đệ hoan hỷ tán thán thiện hạnh trợ duyên của Đạo huynh. Thank you, Guru, for helping me study Dharma Tantra. The advice is good, I am grateful for your kind words. There is energy in the articles that you post on http://chanhtuduy.com I have been inspired by brother Mật Thủy to learn Vietnamese so that I can communicate better with my new Vajra family. Today in my meditation I saw you all with my family(wife and 3 children) in Song Nguyen Tantra House, appreciating the quiet and stillness. I look forward to receiving proper transfer of Dharma from you Guru. Wishing you all wellness, this is a great boon to meet you all, so quickly when asking Avalokiteshvara for help in meeting a Guru to help me with practicing Om Mani Padme Hum. I would like to extend my warm welcome to you to Song Nguyen Mantra House. It has been nearly 3 months since I was accepted to be a student under the teaching of our holy Guru. And during such 3 months, I have been reading many articles on chanhtuduy.com, and day by day, I can feel the change in my body, speech and mind. Our Guru accepts you as a student of Mantra House, which means that you can get merit now by reading and commenting on articles posted on this site. They are modern kinds of recitation. Though, you are from overseas, I believe there exists no border between us because we are Buddhist practitioners under the teaching of the same Guru. Equally important, many students of Song Nguyen Mantra House can speak English, so we can exchange thoughts and ideas to encourage one another to keep practicing to reach liberation. After a certain time of reading, commenting on lessons taught by our Guru, when you get enough good karma, the Guru will consider to transfer the Dharma and let you know how to recite Om Mani Padme Hum properly. Looking forward to seeing you in Song Nguyen Tantra House in the short coming time. Very grateful for your warm message. This is beyond words. Om Mani Padme Hum. I am Mat Thai Duong, one of Guru’s disciples. It’s very nice to see your comments on Guru’s website. I’ve been studying Tibetan Yoga under Guru’s guidance for 3 years until now and the more I practice, the more benefits I could get. With the very simple but effective methods, I am able to practice Tibetan Yoga in anytime and anywhere, one of those is reading and writing comments on website Chanhtuduy.com every day. Thanks to practicing Tibetan Yoga seriously under Guru’s guidance, my dream had come true – I was able to have a chance to go to Japan and stayed there 1 year. I look forward to reading your comments more and seeing you at Tantra House in near future. Thank you, brother. This is a powerful sangha. Om ah hum. The time and the moment i kept reading this gracious article is one of the most fruitful moments of mine to which i have really learned something so and so important. Indeed I personally and wholeheartedly thank the guru and translater(violet tran) for their immense contributions to buddha dharma. This article and indeed the preaching of buddhahoodly guru served as a great milestone to keep me in touch with dharma and conscious it will help every individuals to way of true dharma. Thanks alot for all buddhas and dharma practitioners. I have gone through the article.I am really feeling motivated. I am eagerly waiting to implement those things in my life. I am thankful for your teachings. May the Guru live long for the benefit of all beings. Thank you so much for sharing this article and it is beautiful with full of knowledges and wisdoms. My wish, may all the sentient beings hear you and practice dharma for now and ever. I am ready to teach you. Every Guru is always pleased to teach everyone who wants to learn how to practice Dharma with sincerity. I will tell you the pedagogical procedure in next comment. However, you should firstly foster the in-depth study on the discourse of “what is Tibetan Yoga?”. Dear Holy Guru, my name is Milan Lama. I am from Nepal. I have read your article. It is very useful for me. The methods are wonderful. I would like to learn from you. Please teach me how to practice. Thank you so much for your useful discourse. May the Guru live long for the benefit of all beings. Om Mani Padme Hum. I’am ready. Firt, please read my articles! Second, I teach you how practise Dharma! Ok? My name is Bishnu Prasad Das, I am from Odisha, India. I am happy to read your article. I would like to learn more posts. I do love reading your comment. It has a letter format and therefore signifies the serious attitude of the writer to our respected holy Guru. Hope you find chanhtuduy.com beneficial and feel happier! May Bishnu Prasad have a good health and make progress on the path to enlightenment. To know the real value of the life is very difficult for us…we always running after Money, Power , selfishness and Ego. Our wants are increasing day to day and we have no control over it and we forced to kill our peace, relationship as well as humanity. If we forget all these and we care we share ourselves for the mankind then we may get peace in the life. Lord Buddha has shown us the path of enlightenment and just we have to follow the path sincerely . Kindly guide me as much as you can. I want to teach you a one: read on chanhtuduy.com in order to enhance wisdom; so you will understand what you should do and how you should do. Your life will be great day by day. Bear in mind that do not remember the day, remember the moment. Dear Guru, my name is….I am from India. I have read your discourse. I am very happy to read it. I feel peaceful and relax while reading. I am thankful for your meaningful article. I would like to learm more. Please guide me on the Path to enlightenment. May the Guru live long for the sake of all beings. Om Mani Padme Hum. Dear Guru , my name is kev smith… i live in england. Thank you for sharing this article ! Please allow me to begin the Dharma practice , i wish to do this for the benefit of all living beings. I am ready. 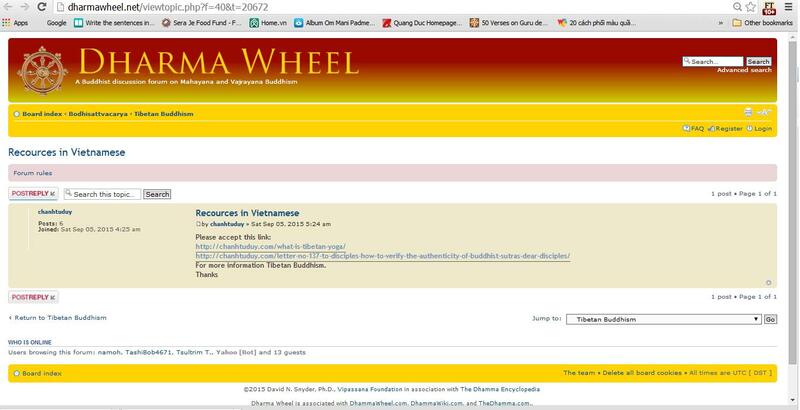 However, the procedure should begin with your reading the articles on chanhtuduy.com first. One should be well-preprared and enriched themselves with the knowledge before proceeding to practice. I will allow you to practice Dharma after that step. Thank you so much dear Guru for sharing and teaching your knowledge. It is very intresting and helpful. I will do everyday. Meditation and the steps with Om Mani Padme Hum. Yes I have to learn but I give my best and I life with the rules of the Buddhism. Thank you for your generous help and your wise words. May Buddha bless and protect you with good health. Dear guru: i am akshay, thanks for bringing this method of Tibetan yoga for generating compassion for other beings. Con tên là Akshay. Con cảm tạ ơn Thầy đã lộ xuất phương pháp thực hành Yoga Tây Tạng, phát triển bồ đề tâm vì tất cả chúng sanh hữu tình. Con cảm tạ ơn Thầy vì bồ đề tâm đã cho phép con đọc được bài giảng đầy trí tuệ uyên thâm của Thầy về phương pháp thực hành 16 động tác Bồ đề tâm cũng như những ý nghĩa sâu sắc của câu thần chú Om Mani Padme Hum. Con mong mỏi được ngày ngày cầu nguyện cho tất cả chúng sanh đạt được giác ngộ tối thượng. Con cầu nguyện các đạo hữu kim cang viên thành đạo quả. Con cảm tạ ơn Thầy vì tấm lòng quảng độ đã cho phép con đọc những bài giảng của Thầy trên trang chanhtuduy.com. Con rất cảm động trước bồ đề tâm của Thầy và ngưỡng mộ trí tuệ của vị Đạo sư Mật giáo. Con muốn viết đôi dòng cảm niệm về những điều con được học từ những bài giảng của Thầy. Trước hết, con muốn bày tỏ lý do tại sao con chọn Phật giáo. Con sinh ra trong gia đình theo đạo thiên chúa nhưng con đã chọn nghiên cứu và học Phật giáo vì Phật giáo chỉ chúng con giá trị thường hằng trong thế giới vô thường này và chỉ ra cho chúng con giá trị đích thực. Thông qua việc hiểu biết về luật tắc nhân quả, việc thực hành pháp hàng ngày giúp chúng con thấu hiểu và phát triển Bồ đề tâm cũng như trí tuệ, chúng con có thể khai thác được tiềm năng của bản thân để đạt được mục đích giác ngộ tối thượng. Con là người mới thực hành giáo lý Phật đà, con hiểu được rằng hạnh phúc và niềm vui không phụ thuộc vào những điều kiện bên ngoài mà là những trải nghiệm về tâm. Chuyển hóa tâm là điều thú vị đối với con, vì vậy con muốn học thêm về giáo lý nhà Phật để được chuyển hóa tâm, thành tựu mục đích giải thoát tối thượng. Bên cạnh đó, con thường xuyên đọc tụng tâm kinh Bát Nhã, con đọc và suy nghĩ nhiều về ý nghĩa sâu xa của những lời dạy trong Tâm kinh. Tất cả các Bồ tát đều y theo bát nhã ba la mật đa mà giải thoát luân hồi sinh tử. Yết đế, yết đế, ba la yết đế, ba la tăng yết đề, bồ đề tát bà ha! Và thông qua bài giảng của Thầy, con hiểu rằng với sự cho phép của Thầy, niệm thần chú Mani theo phương pháp dạy của Thầy với tâm bồ đề sẽ giúp con có được trí huệ bát nhã. Sau khi đọc các bài giảng của Thầy, Con nhận ra những phẩm chất quan trọng của vị Thầy Mật giáo. Trước hết, Thầy chắc chắn là người tuân theo giới luật và giới nguyện Bồ tát. 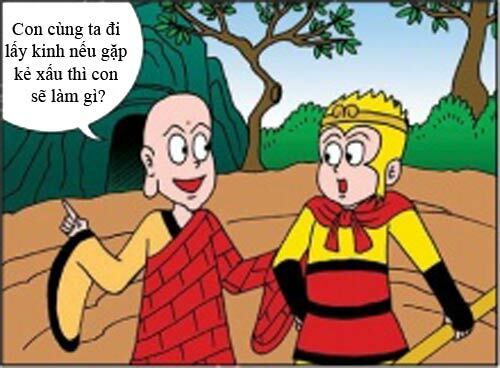 Thầy đã nghiên cứu sâu về giáo lý con đường Bồ tát đạo. Tuệ tri của Thầy sâu sắc và Thầy có những trải nghiệm tâm linh thực sự về Bồ tát đạo. Bồ đề tâm của Thầy trải rộng với mọi chúng sanh. Thầy có sự kiên cường, tinh thần vô úy thông qua hành động và truyền trao tinh thần vô úy Phật đà cho học trò. Thầy luôn khoan dung và kiên nhẫn trong việc dạy bảo học trò. Thầy kiên trì và luôn tỉnh thức, chánh niệm, đoạn trừ phiền não thế gian. Cuối cùng, Thầy có nhiều phương tiện thiện xảo để giúp học trò kết nối tâm linh với Thầy. Thông qua việc đọc những bài giảng của Thầy, con nhận thấy rõ được những phẩm chất cao quý của vị Đạo sư chân chính ở trong Thầy. “Con cầu nguyện Thầy Cô và các huynh đệ kim cang trong đạo tràng Mật gia Song Nguyễn sức khỏe và thành tựu đạo pháp. Om Mani Padme Hum. Con cầu nguyện vị Thầy tâm linh tôn quý trường thọ vì sự lợi lạc của chúng sanh. Con cầu nguyện giáo pháp của Thầy lan tỏa khắp muôn nơi vì lợi lạc của hữu tình. I happy with your comment. I glag to see you on chanhtuduy.com! I read this article with Dhamma Dhatu.It helped me to clarify some doubts.without Guru no knowledge, you can read religious Books but could catch the meaning behind the line or behind the word, to explain it required Guru.He can only analysis the hidden meaning. Up to this period I was thinking that , Meditation is only way centerlise mind , it come to know that Yoga and Tantra is also Practices of centralise mind , Yogas started from Acharya Nagarjuna- 150 to 200 BC, in India after Buddha , Practicing Yoga the practitionar have to be concious about Body, Mind and respiratory function but not like Meditation.The Tantra is introduced as second types of concentrating mind ,Body and touch with deep and slow Breathing. Both of these .ethods Discended from Generation to generation.. The main purpose of Practicing Yoga and Tantra is to Cultivate mind for Boddhichitta or Wisedom.To keep away the mind from worldly sensually satisfaction. The Sensualities can not be prevented but can manage properly.practtitioner get peace​ in mind. Here used word of ” Cultivation” , In India this word or concept is used in agriculture ,the Farmers tilt his field with ploughing​ and make ready field for sowing the Seeds for good production. Here cultivation is used for preparing mind for Boddhichitta or Enlightened. 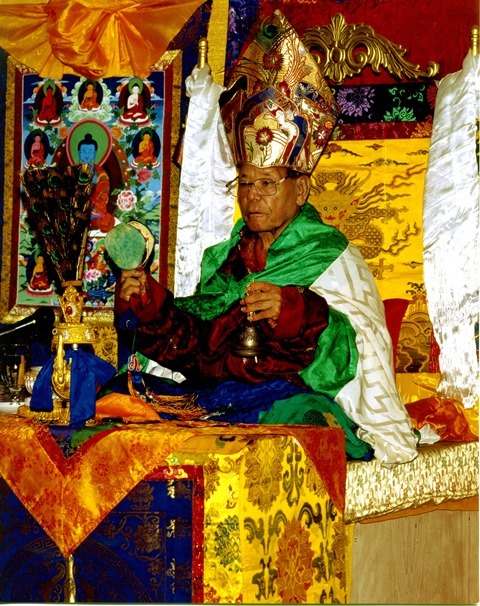 The practitionar should have Practice under valuable guidance of Guru and Sangha at Monastery only. I like this . Because it has some steps to perform steps by steps. So.e easygoing friendly Practicing those are 16 types of Practicing . Con xin phép dịch comment của Giáo sư tiến sỹ Aucharmal L.Y sang tiếng Việt như sau. Nếu con dịch sai lệch so với bản gốc, con kính mong Thầy từ bi khai thị. Con cảm ơn Thầy! Con đã đọc bài viết này của Thầy. Bài viết của Thầy giúp con giải tỏa nhiều khúc mắc. Con hiểu rằng nếu không có Thầy, con không thế có được tri kiến Phật đà. Phật tử có thể đọc sách nhưng để hiểu được nội dung sau con chữ, thì cần vị Thầy chỉ dạy. Chỉ có vị Thầy mới luận giảng, phân tích các nghĩa tiềm ẩn đằng sau câu chữ trong kinh sách. Con đã suy nghĩ rằng Thiền là cách tập trung tâm trí. Và đến nay, con hiểu rằng Yoga Tây Tạng là phương pháp tập trung tâm trí. Yoga bắt nguồn từ thời Acharya Nagarjuna (ngài Long Thọ), năm 150 to 200 trước công nguyên, sau thời đức Phật. Khi thực hành Yoga, hành giả Mật thừa tỉnh thức về thân ngữ tâm và cũng có thể thực hành trì niệm theo hơi thở, nhưng không giống như Thiền định. Những phương pháp này được truyền từ thế hệ này sang thế hệ khác. Mục đích chính của thực hành Yoga Tây Tạng là “tu tâm” thông qua thực hành Bồ đề tâm và trí tuệ. Hành giả xả ly những thú vui thế tục trên bình diện tâm. Đó không phải là tiêu trừ mọi cảm thọ từ ngũ quan mà là giữ tâm quân bình khi thọ lạc, từ đó hành giả có được tâm an lạc. Ở đây từ “tu tập”, còn mang nghĩa là “canh tác” là danh từ được sử dụng trong nông nghiệp trong tiếng Ấn Độ. Người làm nông cầy xới để làm tốt đất và chuẩn bị gieo trồng giống, cho một mùa bội thu. Theo con hiểu “tu tập” ở đây được dùng để nói đến việc thực hành bồ để tâm để đạt giác ngộ. Các hành giả nên thực hành dưới sự hướng dẫn của Đạo sư, hoặc vị Thầy chân chính tại các tu viện. Bởi vì phương pháp thực hành cần có lớp lang thứ tự, từng bước. Nhưng do sự bận rộn với mưu sinh thế sự trong đời sống hàng ngày, nên nhiều người không có thời gian để đến tu viện hoặc không thể thường xuyên được gặp Đạo sư. Đối với những cư sĩ bận rộn trong cuộc sống hàng ngày, Thầy dạy cho họ phương pháp thực hành dễ dàng, thuận tiện. Đó chính là 16 động tác Bồ đề tâm trong cuộc sống hàng ngày. May the Ariyia GURU have long and healthy life. For the benifit of all sentient beings. i thank you for guidance in all maters and for your blessings held within my name. I feel blessed that I am now part of the lineage that is Tibetan Buddhism, the development of my practice is giving me happiness and I am bringing it into all aspects of my life for the benefit of all sentient beings. I am fortunate that I am able to make this use of my life and am able to receive your teachings respected Guru through this family you have brought together. 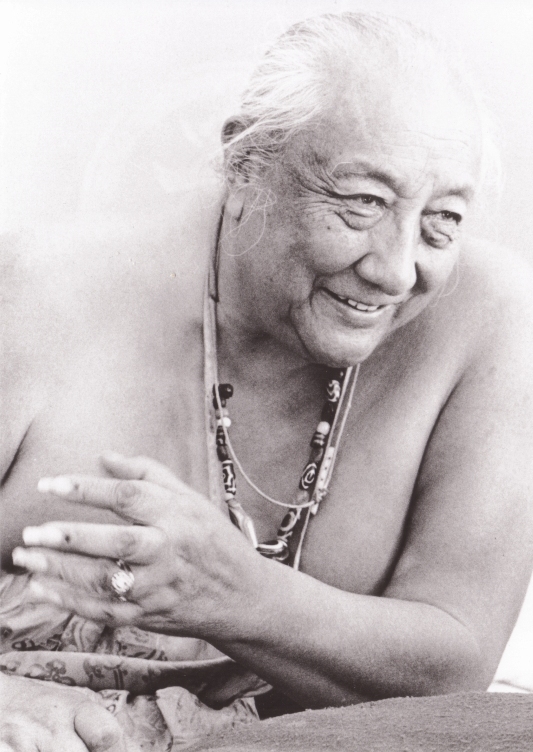 may my understanding of Tantra Yoga grow for the benefit of all sentient beings. Con cảm tạ ơn Thầy đã chỉ bảo con và đã để tâm ban cho con pháp danh đầy ơn phước này. Con cảm thấy mình thật ơn phước khi trở thành thành viên của Mật Gia Song Nguyễn, Phật giáo Mật Tông Tây Tạng. Con hiểu rằng khi con thực hành pháp, con sẽ có được hạnh phúc và mang lợi lạc cho hữu tình. Con biết rằng bản thân mình thật may mắn vì kiếp này con được học từ Thầy tâm linh tôn quý và là thành viên của Mật gia. Con cầu nguyện cho con hiểu được lời dạy của Thầy về Yoga Tây Tạng nhằm mang lợi ích cho mình và tha nhân. Con thành tâm cầu nguyện Thầy khỏe mạnh và trường thọ vì sự lợi lạc của chúng sanh. Con cảm tạ ơn Thầy đã để tâm. thank you for your teaching, is happy to follow the article everyday. I often wondered about Yoga and about meditation. Asking often if I should be practicing it. I see now that we practice these things in all we do. I have poor memory so I have written down the mantra so I can remember it. I will practice it as you are my Guru and suggest doing so. Thank you and be blessed for all sentient beings. I am delighted to reading your translation of the Guru’s discourse. Due to this teaching, any budhist practitioner should know that to gain the benefits of Dharma practice, ones must be permitted by the owner of the Dharma- the Guru. If not, they just wait time and attain nothing even they have diligently practised. It is clear that Tibetant Yoga is so beneficial for people nowadays thanks to its flexibility in practice. No matter who you are (monk or layman), what your age is (old or young), where you live, etc, you can apply this method to daily activities and transform unpurified karma into purified one. May the Dharma flourish everywhere. May Mat Dieu Hang and your family be happy and successful in the year of dog. May all sentient beings be surrounded by the three Jewels. Thank you for this precious article. There is deep meaning and profound guidance in each line. Trying to apply all good teaching to daily life. Truly grateful for your teaching. I am Hank and I’m from Indonesia. I have read this article already. Kính bạch Thầy, con hoan hỷ với thiện hạnh dịch bài viết của Mật Diệu Hằng. Nhờ công hạnh này mà bài viết của Thầy được lan tỏa bên ngoài quốc độ Việt Nam, giúp chúng sanh hữu duyên có cơ hội tiếp cận giáo pháp. Thank you for sharing this article and for sharing information about Tibetan Yoga. It is important for all of us your disciples to have a mind of Bodhicitta and to practice the Dharma earnestly. I know I am still only a beginner and I will try my best to focus my life on the Dharma and live accordingly. May all of Guru’s disciples cultivate the mind of Bodhicitta. May all sentient beings be free from suffering and be enlightened. Con cảm tạ ơn Thầy vì đã cho con được đọc bài viết về yoga Tây Tạng. Con hiểu rằng điều quan trọng là chúng con phát triển tâm bồ đề và tinh tấn thực hành pháp với thái độ hân thưởng. Con hiểu rằng con vẫn là người mới bắt đầu bước trên hành trình này và con sẽ tận dụng cuộc đời này để thực hành pháp và sống đúng pháp. Con cầu nguyện chúng con thực hành tâm bồ đề. Cầu nguyện tất cả chúng sanh đoạn trừ phiền não và đạt được giác ngộ tối thượng. I am one of the foreigners you teach. The English translation is excellent. I am from the United States and my dear friend Violet Tan sends me your teachings. 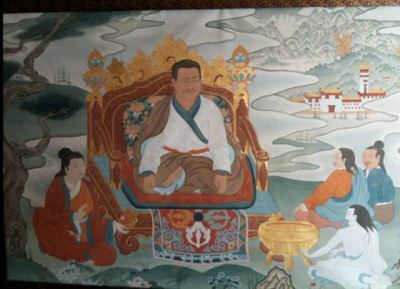 I have been studying Tibetian Buddhism for several years now and find your teachings and explanations most excellent. I eagerly look forward to the next teaching as I put into practice your methods for practicing in daily life. Thank you for the teachings. Read and comment are seen as the method to develop right view and get more merit. Thank you for this article. Reading your article does not create any stress. It is very simple to read and understand.it is rere because Many other guru in India who do speak in English speaks hard word to express the high knowledge they have. I am so fortunate as you are my guru. Practicing of Mani mantra makes us uniciation of body,mind and speech which is called as yoga. I also practice it when I got time and applies the budhochita in atleast 16 activities. I always use to give emphasis to guru is just because budhism is life transforming. This comes from me from inwardly. I never respect guru or giving emphasis in vision that guru will make return gift to me. I say this because I have many who talks like sant but in practice they are really like a monster. It gives me unsatisfactory. I am practicing dhamma not because I scares of daily crowded Samara world but because it is truth. I also want to say I am a medicore student(average student) but trying to get good results. Thank you again guru for being with us.